Some of the most difficult talks you can have with an aging parent are those that may make them feel like you are stepping too far into their independence. One of those is “the driving talk.” Although this conversation may be tough, it’s definitely one worth having, especially considering the possible danger to him or herself and other drivers on the road. Whether your parent has been diagnosed with dementia or not, there are some signs that they may need to hand over the keys. The last thing that they would want is to have a car accident decide whether or not they are suitable to drive. While on the road, your mother needs to be able to hear sirens, horns and other noises that are in place for public safety. If your mother is suffering from hearing loss, this can make things quite difficult – not to mention unsafe. Typically, hearing impairment is something that gradually develops over time, so be sure that your mother undergoes frequent hearing tests and talks to her physician to see if she is still fit to drive. Besides the ability to hear, the most crucial aspect of your senses when it comes to driving is vision. There are many things a driver needs to see while on the road, from the speedometer on their dashboard to road signs to pedestrians crossing the street. Unfortunately, as they get older, many seniors suffer from vision problems, including cataracts, glaucoma and just poor eyesight. In addition to auditory tests, be sure that your mother is visiting an eye doctor for more insight into her ability to see the road. If she encounters sensitivity to bright lights or is losing her peripheral vision, she may have issues yielding or understanding right of way, which can definitely cause problems behind the wheel. 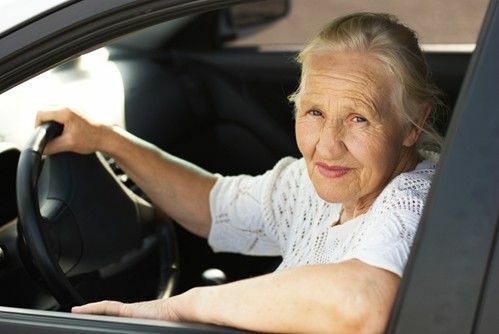 If your mother is in even the early stages of dementia, it is probably best that she stays off of the road. There are several reasons why memory loss can create problems while driving. For example, your mother may forget major safety issues, such as putting on her seat belt, turning on her lights, using her turn signal or reacting quickly enough to oncoming traffic. If you are starting to see dents and scratches that you have never noticed before on your mother’s car, it’s an indication that she might be having problems with depth perception or may have caused an infraction with another motorist without even noticing it. While you are checking for damage, it’s probably a good idea to double check her car insurance rates and find out if she has received any recent warnings or tickets from police officers due to traffic violations. Your mother’s safety is of the utmost importance. If you feel the need to have “the driving talk” with her, it’s best that you do so soon to avoid a potentially dangerous situation down the line. Contact one of our professionals for more advice on how to have this difficult conversation.